"the Studio" is the home of Brush of Success Artists. We are famous for our comemorative plates. Plates to celebrate any event in your life, births, weddings, graduations you name it. We have sent plates to as faraway as Israel, and England, Austrailia, United States and all across Canada. We also have a variety of unique hand painted gifts and artwork. If you find yourself in the neighbourhood drop in by appointment or by chance. 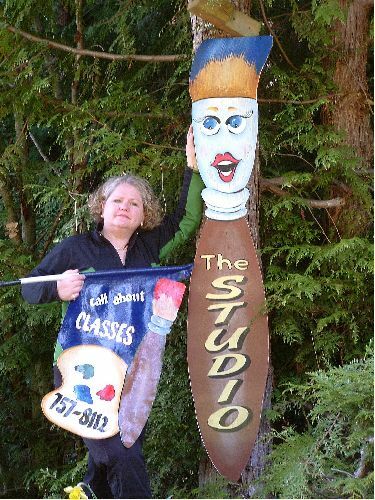 Call 250-757-8112 to see if Carla is in "the Studio" ( usually I am I LOVE TO PAINT!) We also have a variety of painting classes. 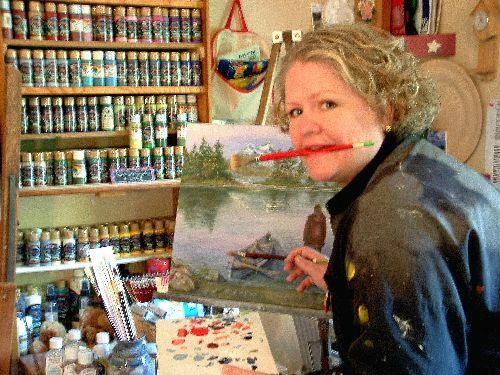 We range from folk art, to acrylic painting and just plain have fun being creative. There is a lot of stuff there you can use to get you started... and you know how you get to be good??? You paint and you get better so you want to paint more so you get better ... you get the idea ... the biggest asset you can have is the DESIRE to paint! See you soon at ... "The Studio"